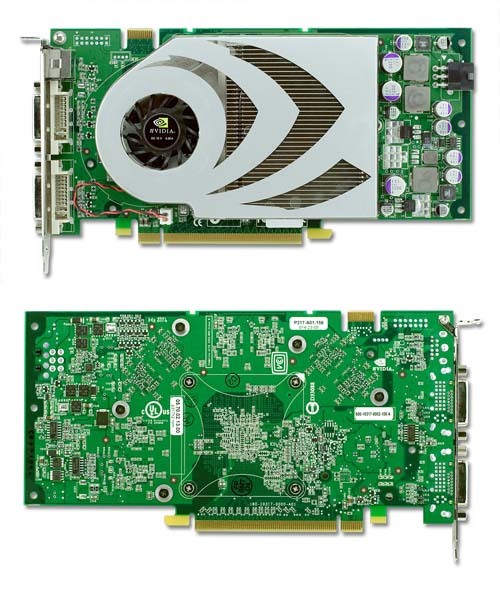 NVIDIA GeForce 7800 GT, never mind the X? Relentless, that is how I’d describe NVIDIA at this point, after they’d beaten to a pulp anything that ATI had on the shelf they start a new assault with a graphic card we all knew was coming, the GeForce 7800 GT. Poised to raise the bar in the mid-range this $449 graphic card is set to replace the 6800GT and up the performance to a whole new level. In essence the GT is a GTX with one vertex unit and four pipelines less than the GTX, bringing the grand total to 7-vertex unites and 20-pipelines. Furthermore NVIDIA issued a reduction in clock speed to 400MHz for the processor and 500MHz for the onboard memory, which is 30 and 100MHz less than the GTX. So by the looks of it the GeForce 7800 GT is just slightly slower than the 7800 GTX, but by how much exactly? We’ve put the GeForce 7800 GT to the test, using the very same games many of you play on a daily basis. And to make sure we gave the new graphics card a good evaluation we put it up against all of NVIDIA’s current graphic cards and of course ATI’s sizzling hot Radeon X850XT PE. We’ll be using the ever so powerful AMD Athlon FX-57 processor on the Asus A8N-SLI Premium motherboard with 1GB of OCZ DDR400, cas 2-2-2-5 memory and of course the latest drivers for NVIDIA’s and ATI’s graphics cards. Here are the results with Half Life 2, Doom III, FarCry and Splinter Cell: Chaos Theory. Discuss This Article (27 Comments) - If you have any questions, comments or suggestions about the article and/or its contents please leave your comments here and we'll do our best to address any concerns.